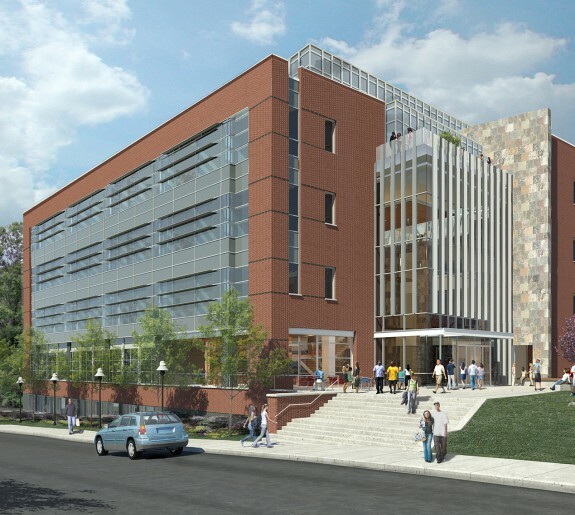 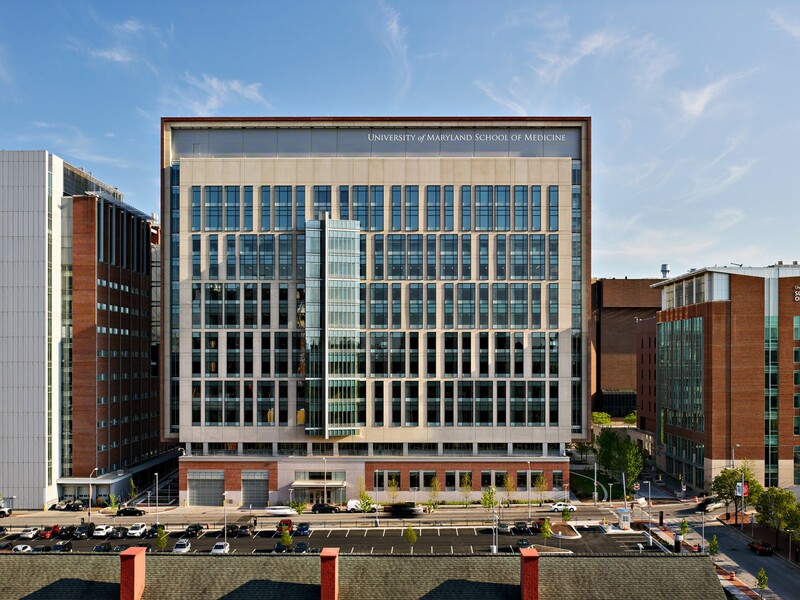 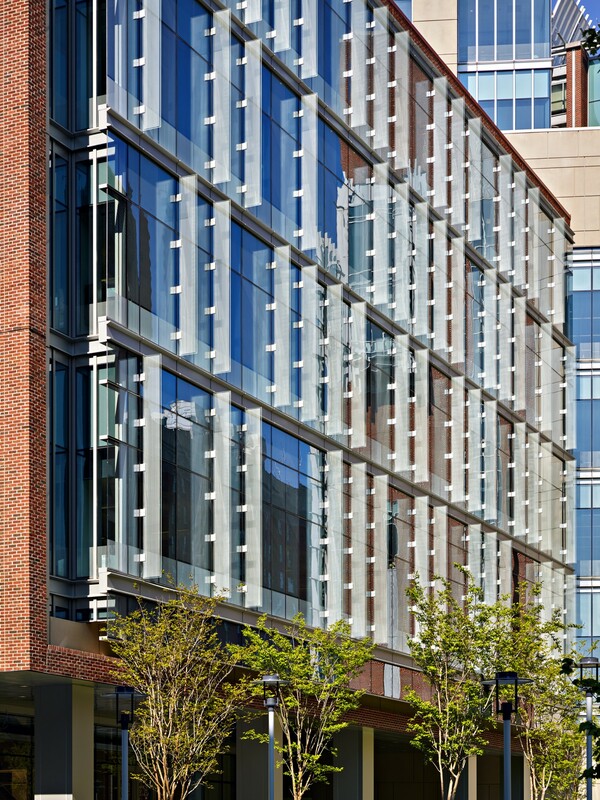 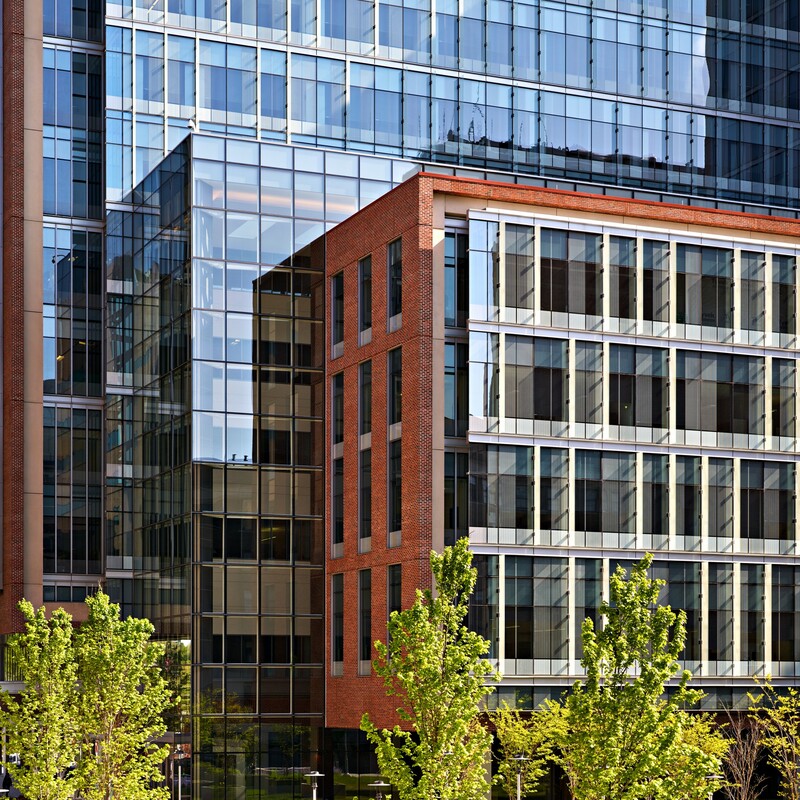 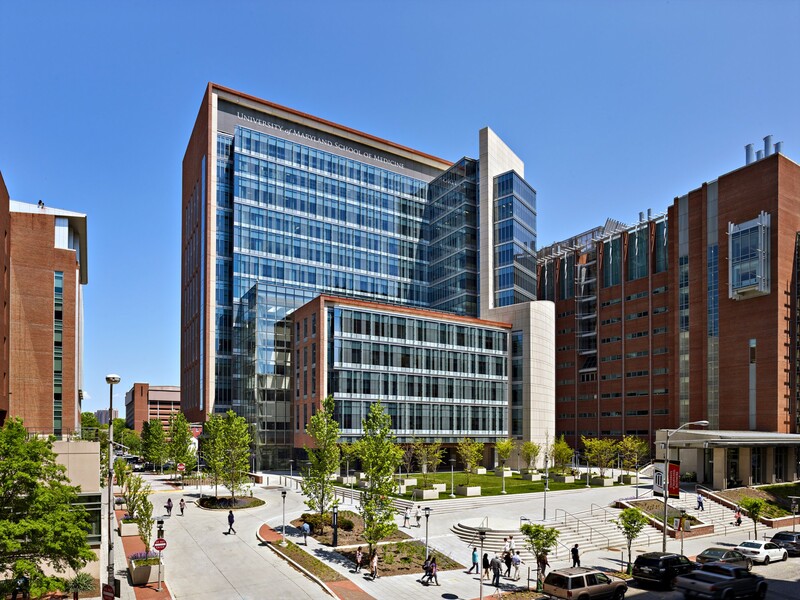 The University of Maryland Baltimore is moving into the 21st Century with the design and construction of a state-of-the-art biomedical research facility, Health Sciences Facility Phase III. 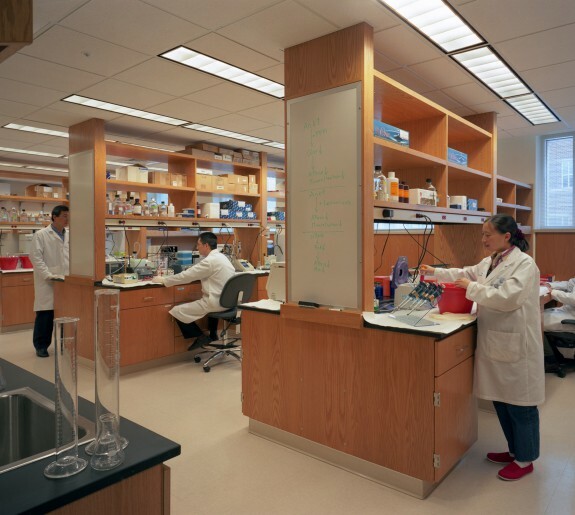 A truly collaborative facility, HSF3 will combine research groups from the different departments of the School of Medicine into a single facility designed to advance the work of the researchers while improving cross-pollination and interaction among research groups. 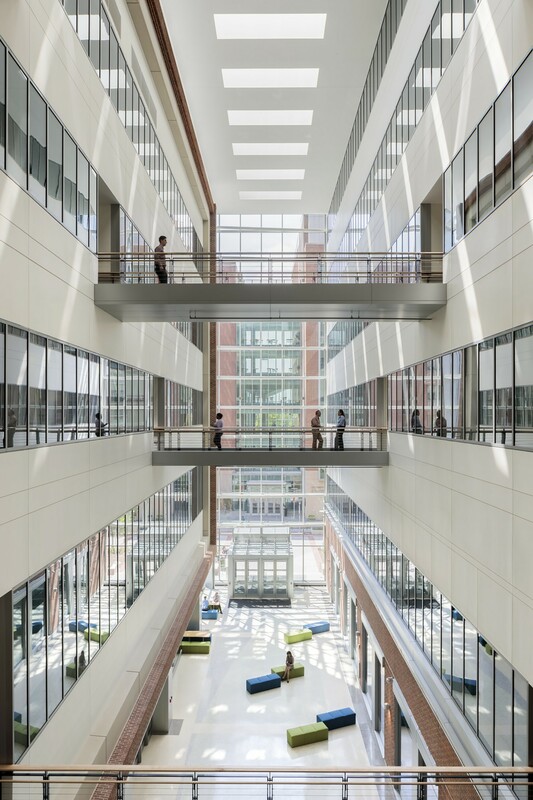 The facility is designed to increase UMB’s standing as one of the top research institutions in the country and will be used to recruit new researchers to the university. 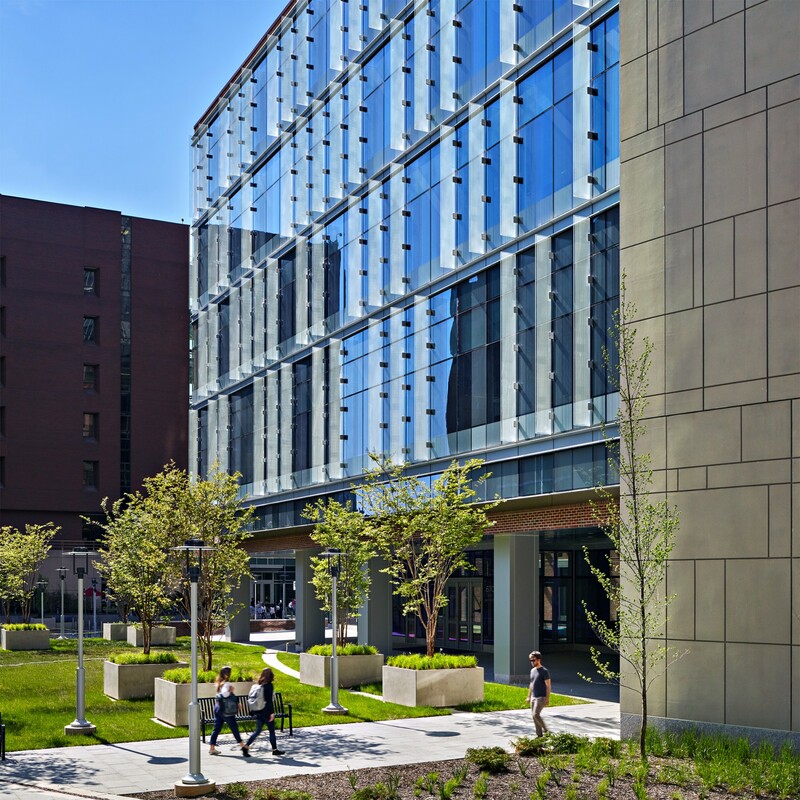 HSF3 will sit at the crossing of the existing facilities of three schools (Medicine, Pharmacy and Dentistry) and will share an outdoor living room with adjacent buildings and the rest of the campus. 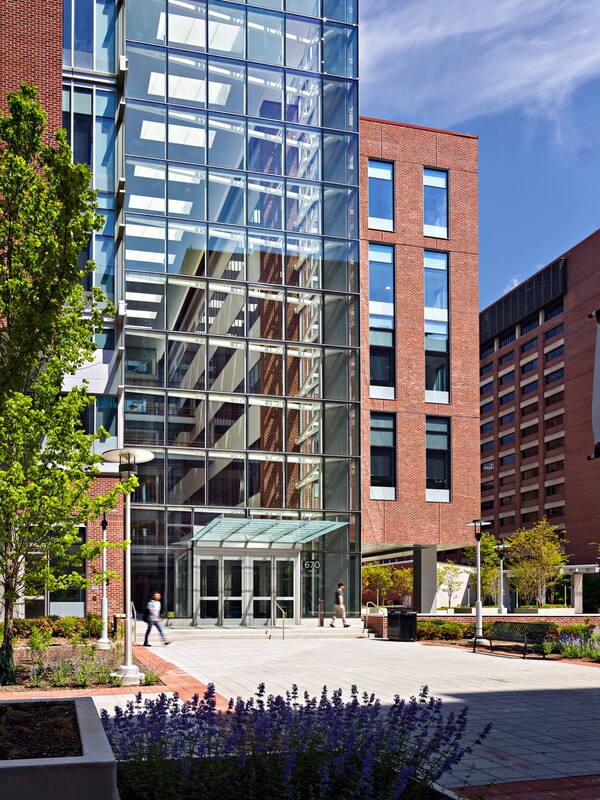 This outdoor space will serve as a much needed green space within the urban environment while providing breakout space for the researchers inside HSF3 and adjacent buildings. 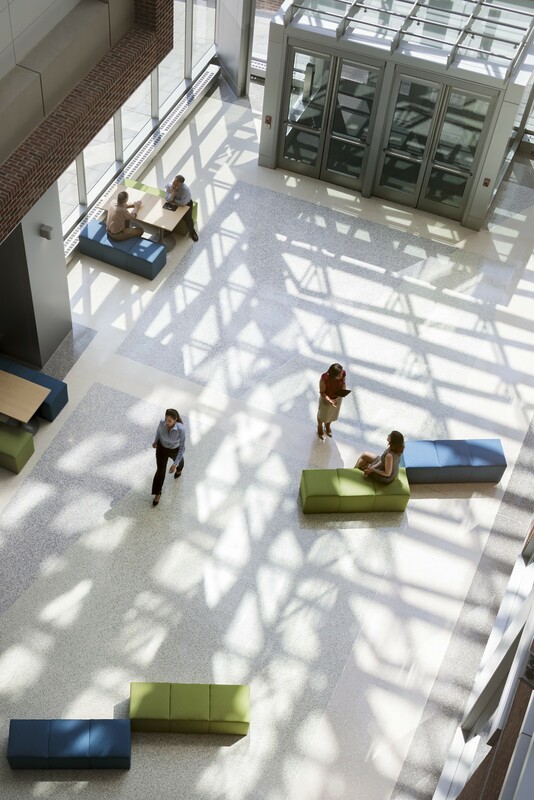 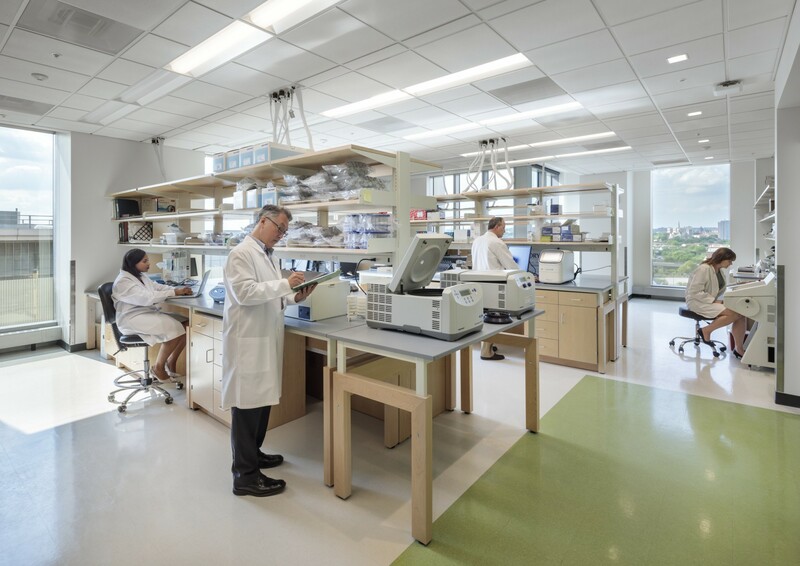 The 419,500 GSF facility is designed with two distinct forms: a lab tower that features wet lab, wet lab support and office spaces for wet lab researchers and a lower dry lab bar that features workstations and offices for computational research groups. 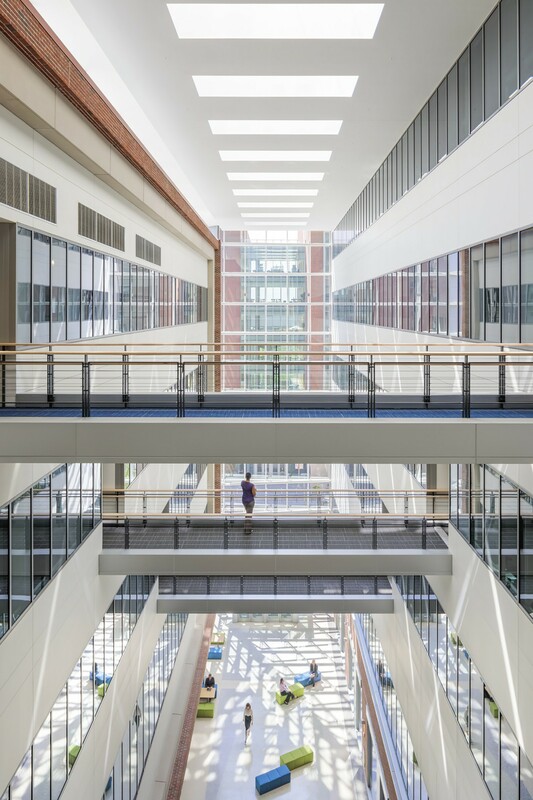 These two forms are connected by a glass atrium with bridges across it to allow for easy movement between wet lab and dry lab areas. 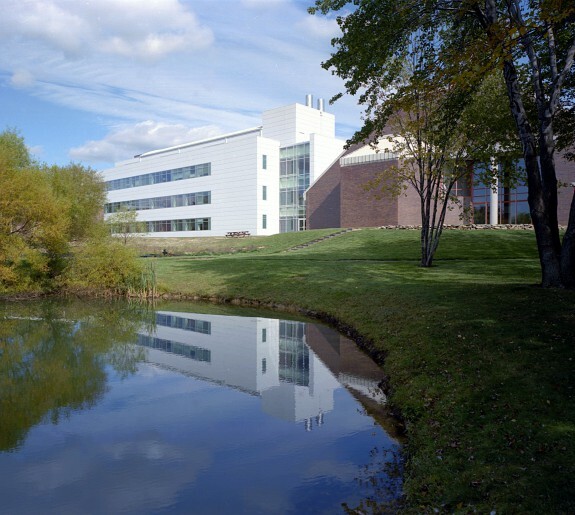 The top floor of the 10 floor lab tower is a vivarium capable of housing 17,000 rodent cages, but flexible enough to house varying types of animal research including aquatics. 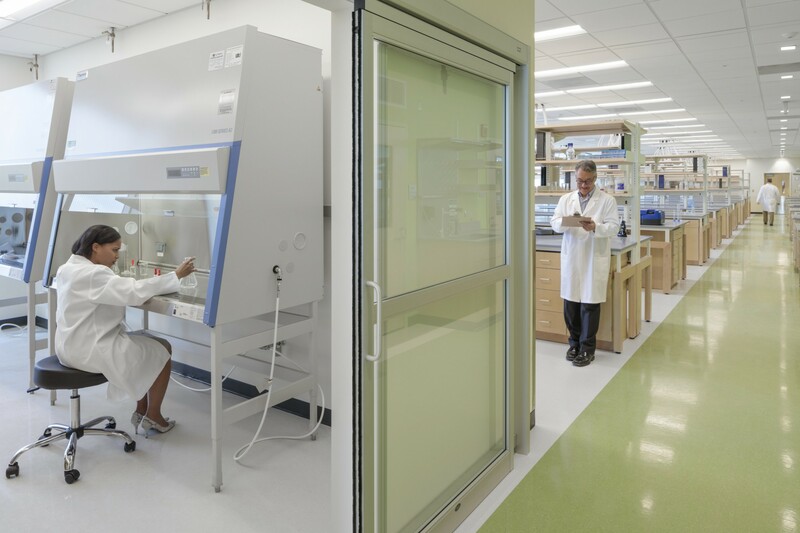 Other core facilities in HSF3 include a four modality imaging core in the lower level and a nano-medicine and synthetic chemistry suite on the first floor. 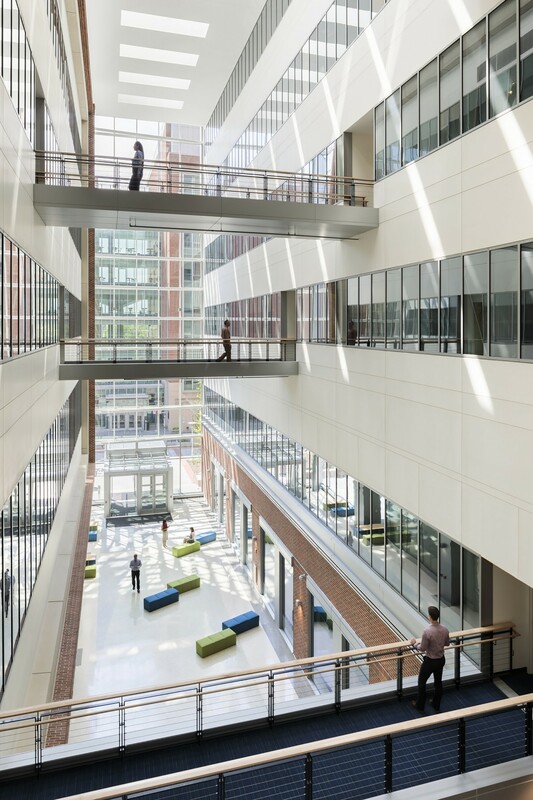 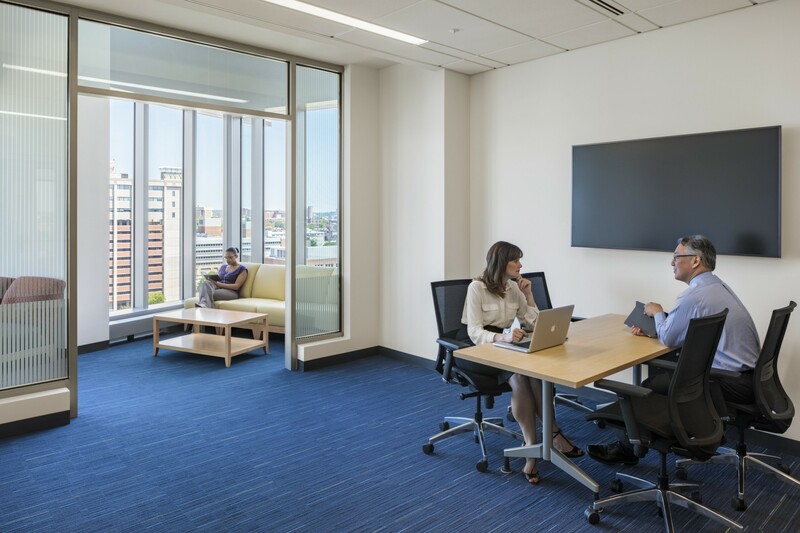 Space in this highly collaborative facility has not been assigned by the university but will be used to recruit new, interdisciplinary researchers with the goals of expanding the world-renowned programs already housed at UMB.